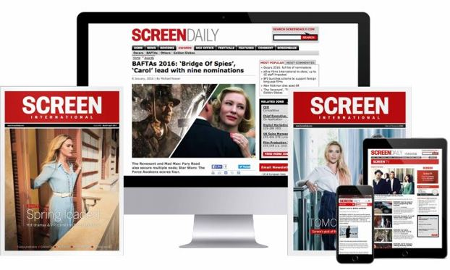 UK Minister of State for Culture, Creative Industries and Tourism Margaret Hodge defended the industry's position during her keynote speech atthe Screen International annual UK Film Finance Summit. But she has asked the UK Film Council to undertake an evaluation of the success of the UK tax credit as figures show a drop in co-production activity. She revealed that the Government has now commissioned the UK Film Council to undertake a study looking at the state of the industry following the recent introduction of the new tax credits. 'If we do see a fall in co-productions, I and the Secretary of State want to know about it,' she said. As Hodge's speech made clear, these are paradoxical times for the British film industry. On one hand - as Hodge pointed out - box-office returns and capital investment are up, the studio and post-production houses remain busy, and there has been an increase in film-related employment. 'Last year, the film industry contributed £4.3 billion to UK GDP, up from £3.1 billion in 2004,' she noted. On the other hand, independent British producers are finding it increasingly difficult to finance their movies or attract support from international co-production partners. Figures expected to be released today will show a big drop in co-productions. Asked whether the UK might now consider again entering Eurimages (the Council of Europe's film investment fund that now has 33 member states), Hodge gave a noncommittal reply. Despite Hodge's assertion that 'well-made British films are not a rare and endangered species,' some delegates in the hall clearly disagreed with the Minister's upbeat assessment of the health of the industry.